The world is changed. I feel it in the water. I feel it in the earth. I smell it in the air. Much that once was is lost, for none now live who remember it. – Galadriel, The Lord of the Rings. Big bad worm in Deepholm. Regardless of this, there is a great feel to the game and a complete breath of fresh air. What was stale and old has been reborn into something, well, mostly wonderful. 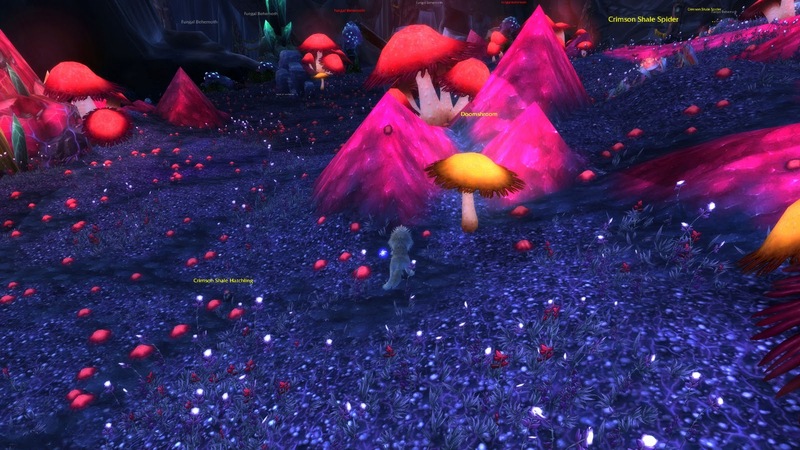 Cataclysm has brought about a large change to many zone in the game. Some zones remain cosmetically untouched, but others have seen drastic changes. Some of the most minor changes are zone like The Hinterlands. This zone has seen very little change. The most noticeable change has been the war between the Alliance as the horde as each side has moved up their fronts and they have 2 new flight paths in the zone, including their old ones. 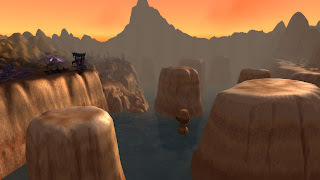 However, some zones have had drastic changes, such as The Barrens. 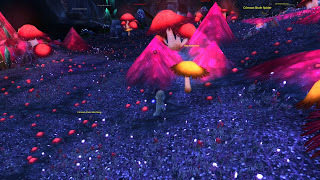 The zone has not only seen changes in the warfront but in its physical appearance. A massive crater has separated The Barrens, now making it two separate zones. Northern Barrens still remains primarily under the control of the Horde. Southern Barrens has been assaulted by the Alliance, now making it their territory. You will see something similar in many zones. Yes, in this expansion we finally get to see a progression of the war between the Horde and the Alliance. Some once contested territories have been gained or lost, depending on your perspective. For example, Hillsbrad Foothills and the town of South Shore has seen the alliance pushed out of the zone. South Shore has been decimated and is under the control of the Horde. There have been debates and complaints by people about such changes, but it’s mostly a Blizzard loves Horde or Blizzard love Alliance argument that holds no ground. Step back and take a perspective look at it. This is war, and in any war, territories will be gained and lost. This is exactly what has happened here as the war between the Horde and the Alliance continues, making for an interesting twist and to me, a very welcome change to WoW. Up to this point, much of Cataclysm has been a very welcome change, however, some things haven’t. Some of my favorite zones are decimated. If you ever liked Darkshore, I hope you have some nice photos of it from your last vacation cause its gone. Camp Taurajo? Same goes for it, hit the photo album. Thousand Needles, one of my favorite zones for its unique look with its rock formations is now completely flooded. Though these complaints are cosmetic ones, they are complaints none-the-less. I’m not a fan of the speed it takes to get from 80 to 85. The journey to 85 felt way to short, to quick and too easy. While leveling, I never had a single time I needed to group to get a quest done. I like that so much of it is solo worthy but I would have liked to have had a few quests here and there that required a couple people to help you finish them. I’m not talking dungeon quests either. Questing in the shattered Azeroth zones does bring on a minor complaint as well. Though you do still have freedom to choose where to go to quest, you are now more herded. This brings about a positive and negative. The sheep herding that is done with the quests definitely does make it easier on the new players to now know where they should go next as the level. However, it feels like you are being herded a little too much now. It’s a bit more linear than before but you aren’t completely locked into it. For me this is a positive and a negative. Cut scene in Throne of Tides. While questing to 85, there was a massive positive. The excessive use of cut scenes made it very enjoyable and made you feel like you are taking part in a WoW movie. Almost every major event in Cataclysm brings you a cut scene that lets you see what’s going on in greater depth and detail. It helps to tell the ever evolving story and lore that has made this game so great to be a part of. The new dungeons are fresh and fun. Some of these dungeons incorporate cut scenes to help you see what your boss kill has done. Every dungeon brings about new bosses, some with fun fight mechanics. Be forewarned though, if you’ve heard the dungeons are hard, they aren’t really that bad. 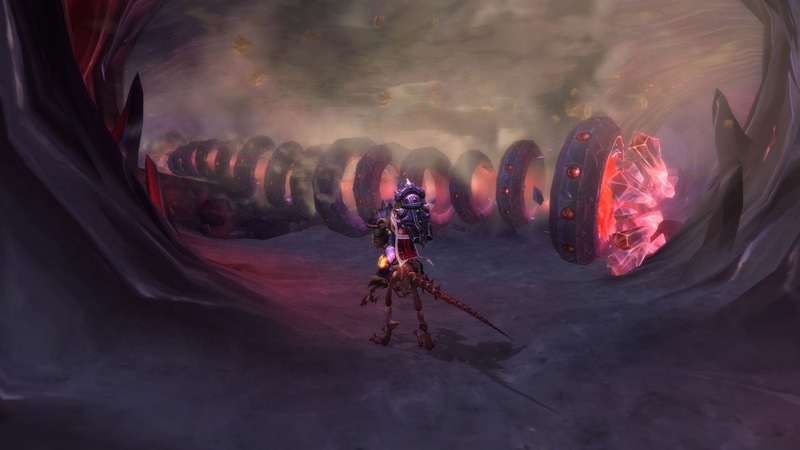 On regular, these dungeons are here to prepare you for their heroic counterparts. Heroic dungeons’ is where things do get a bit difficult. 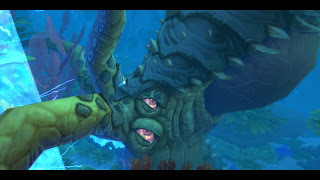 The mobs hit considerably harder, making the healer primarily focus on the tank. With this, CC is a life saver, so are people who pay attention. Unlike Wrath of the Lich King, these dungeons require you to do more than just AOE everything until it is dead. You now have to watch what you’re doing, manage your aggro and stay out of the freaking fire! I haven’t had a chance to run every heroic, but I did get the honor of seeing the new heroic Deadmines. I don’t want to spoil anything what so ever, but it’s a very nice change and a lot of fun! If you’re a returning player, you’ll notice a big change in this expansion, your talent points. They have been changed in a major way that requires everyone to relearn it. Many of the skills and abilities have changed. Also, you are now forced to spec down one single tree for a minimum of 31 points before you can spend points in any of the other trees. This DOOMSHROOM oddly reminds me of another game. However, the nice thing about just not the talent change but all the changes is that this is the time to start. If you’ve been sitting around wondering if you should try wow, now IS the time to sign-up for a free trial account and give it a shot. With all these massive changes, you won’t be forced to relearn anything as this is how it’s going to be for a while. I highly recommend opening that trial account you’re thinking about opening. Stop thinking, just do it. Overall this expansion is great. A lot of fun new quests. The new dungeons are exciting. Cut scenes are clean and enjoyable to watch. Old world changes bring a new perspective on everything, and makes for a great new leveling environment for you to start an alt. Some zones are destroyed that we once loved. Some towns no longer belong to your faction. It’s a tad bit too easy to hit 85, as I feel it should have been a bit more of a challenge. If you’re thinking about getting the expansion, get it. You will enjoy it. If you’re thinking about starting a trial account, why are you still HERE? I already told you before to open one. Go on, get out of here and do it! Cataclysm causes mayhem at flying trainers.